Protection of children rights is an interdisciplinary and cross-cutting issue therefore it requires a holistic approach focusing on the best interest of the child. 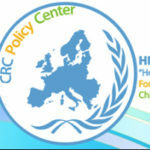 The Chair of the CRC Policy Centre Programme gathers professionals from the academic field who are committed to the promotion, protection and provision of children rights in accordance with the UN Convention on the Rights of the Child and provides a unique platform for exchange of knowledge, capacity-building and advocacy. The Chair holders are members of the academic staff surrounded by lecturers, researchers and students who demonstrate particular interest in children rights. The Chairs teach courses (on undergraduate and/or postgraduate level) and pursue researches fully or partially dedicated to the promotion and protection of children rights in their field of studies. Besides, the Chairs are motivated to promote the application of children rights-based approach in the work of his/her department or institute, e.g. by assisting faculty to integrate ‘children rights’ content into their courses. As the Chairs encourage undergraduate and advanced students to pursue career in the protection of the rights of the child, the “Hope For Children” CRC Policy Centre offers two internship places annually for students actively engaged in the work of the Chair. The members of the Chair Programme constitute part of a professional network provided with opportunities for international, inter-university and inter-sectoral cooperation. The Programme fosters the development of joint researches, publications and academic programmes and facilitates the dialogue about the rights of the child with governments, humanitarian and international organizations. The Chair and his/her team provide background information, situation analysis and statistical data about the situation of children for thematic or country-specific reports submitted to international organizations (e.g. the United Nations, Council of Europe and the Organization for Security and Cooperation in Europe) or even take part in the preparation of such documents. Therefore, the Programme captures and develops all the knowledge available in the academic sector and share it with the relevant stakeholders through international advocacy.